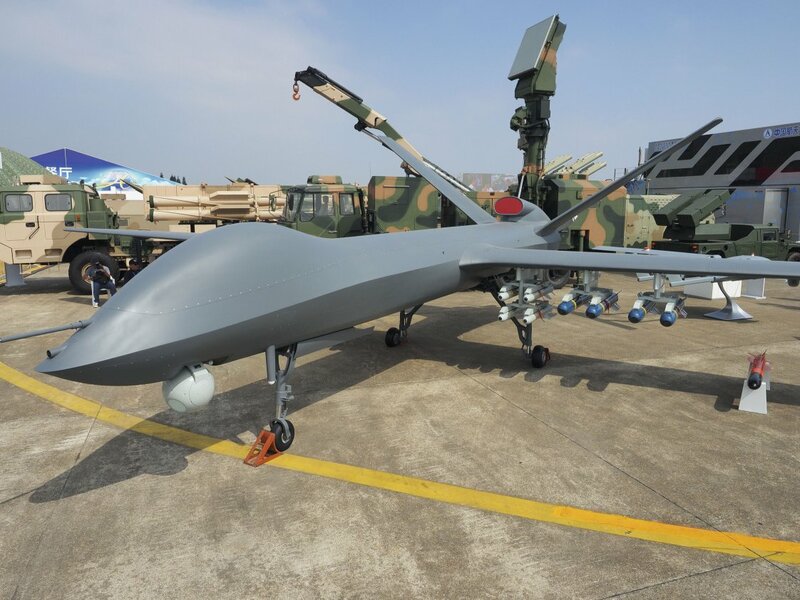 Chinese CASC CH-5 (Caihong 5) Medium-Altitude Long-Endurance (MALE) Armed/Weaponized UAS/UAV/Drone Aircraft to Patrol the South China Sea? | DefenseReview.com (DR): An online tactical technology and military defense technology magazine with particular focus on the latest and greatest tactical firearms news (tactical gun news), tactical gear news and tactical shooting news. 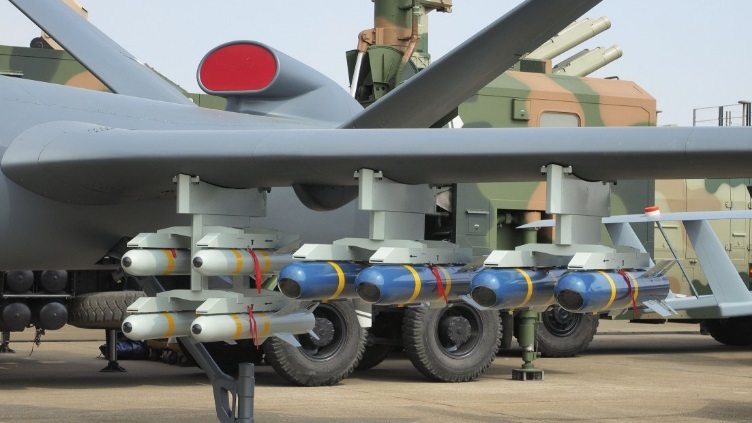 Chinese CASC CH-5 (Caihong 5) Medium-Altitude Long-Endurance (MALE) Armed/Weaponized UAS/UAV/Drone Aircraft to Patrol the South China Sea? 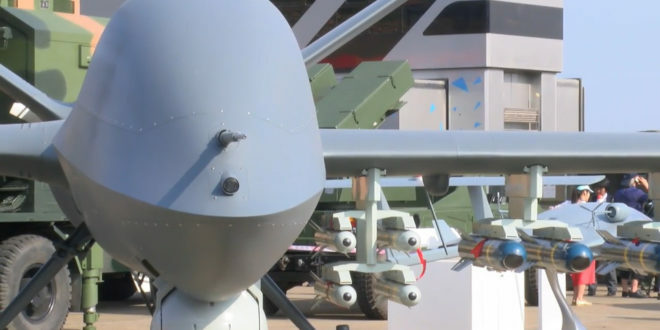 Oh, and speaking of advanced, deadly chinese combat aircraft, they recently unveiled the CASC CH-5 (Caihong 5) medium-altitude long-endurance (MALE) armed/weaponized UAS/UAV/drone aircraft, made by China Aerospace Science and Technology Corporation, and billled as the “world’s most powerful drone”, at Airshow China 2016. The CH-5 sports an 11-meter lightweight composite airframe and 21-meter wingspan. MTOW (Maximum Take-Off Weight) is 3,300 kilograms, which includes a 1,200-kilogram payload capacity, 200 kilograms of which can be carried internally, inside the mission bay. The rest goes external, under the wings. 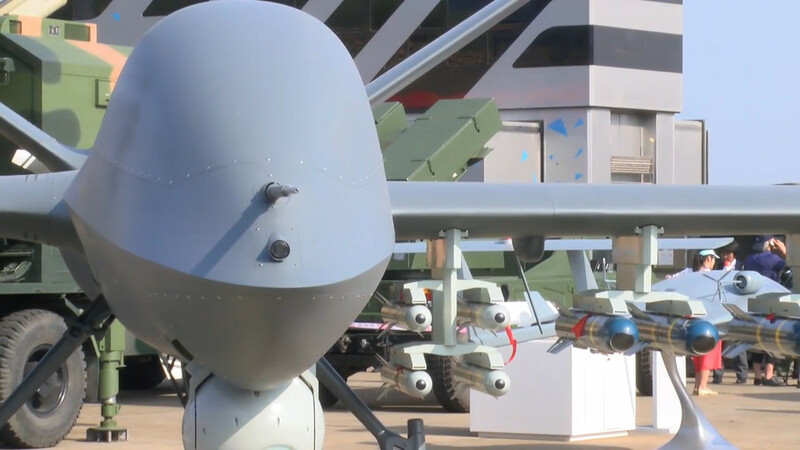 The Chinese showed off the CH-5 with a payload of four (4)AR-1 and four (4) AR-2 guided anti-armor weapons/missiles under each wing, for a total of eight (8) AR-1’s and eight (8) AR-2’s. Not bad. That’s a good amount of onboard mayhem. 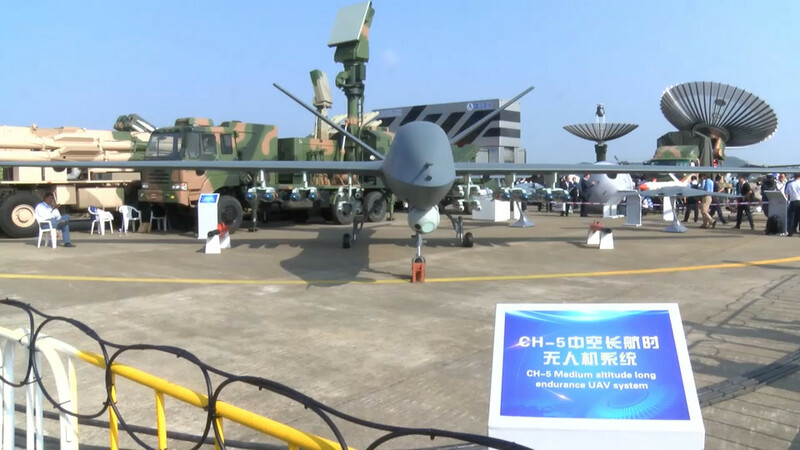 Operating range is 250 kilometers via line-of-sight datalink, but the range can reportedly be extended out to 2,000 km via satellite comms (SATCOM). To achieve all of this AND a 60-hour flight/loitering time with “high reliability”, the CH-5 utilizes a 330-hp (horsepower) HFE (Heavy Fuel Engine). The HFE can be substituted for a 300-hp gasoline engine that provides a 39-hour flight/loitering time. Cruising speed is 180-220 km/h (kilometers per hour), with a 300+ km/h maximum speed. Service ceiling is 30,000 feet, or 7000 meters. Also not bad. Previous: Chinese Chengdu J-20 Low-Observable/Stealth Jet Fighter Aircraft: How Big a Threat is It? Next: Happy Veterans Day 2016 from DR!